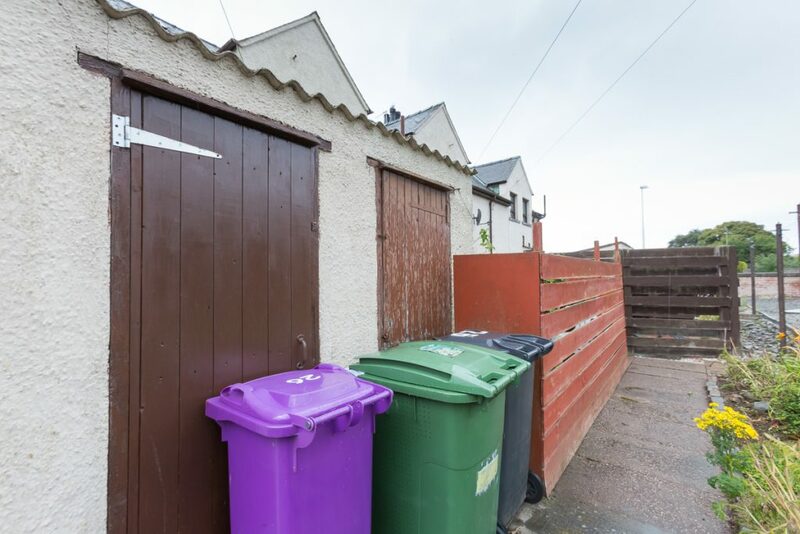 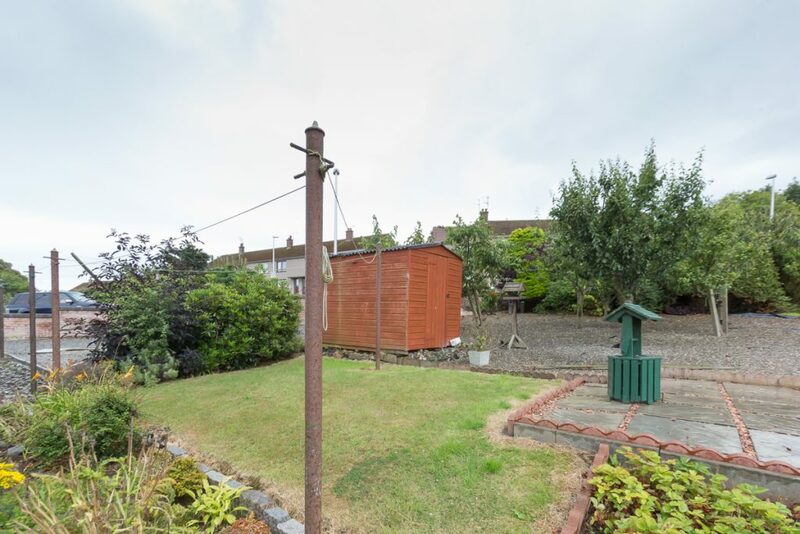 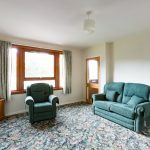 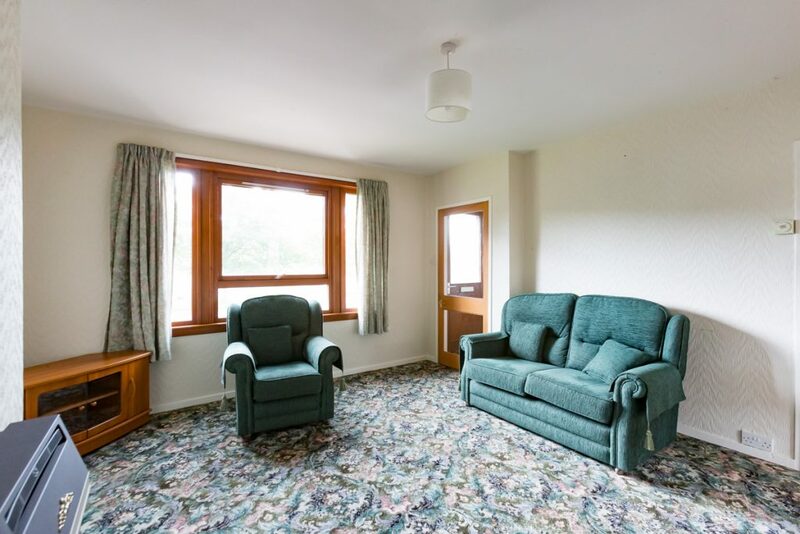 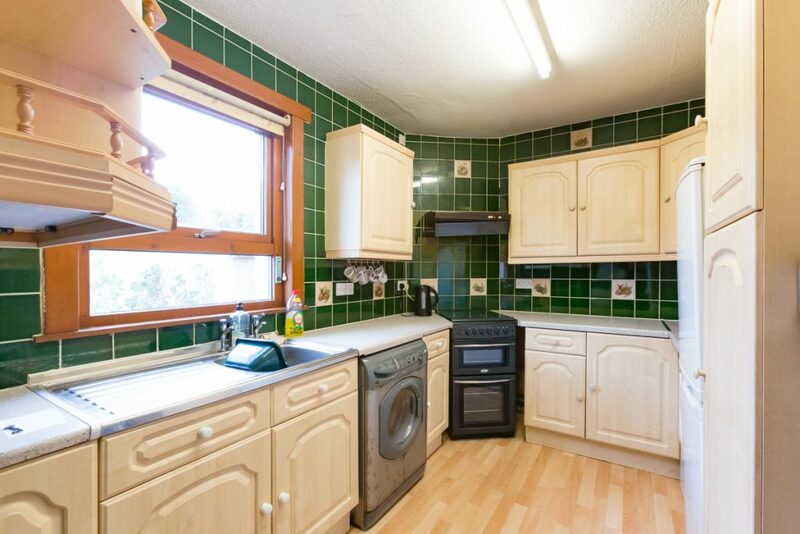 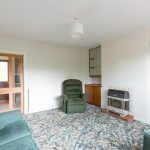 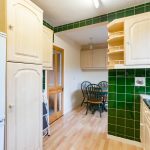 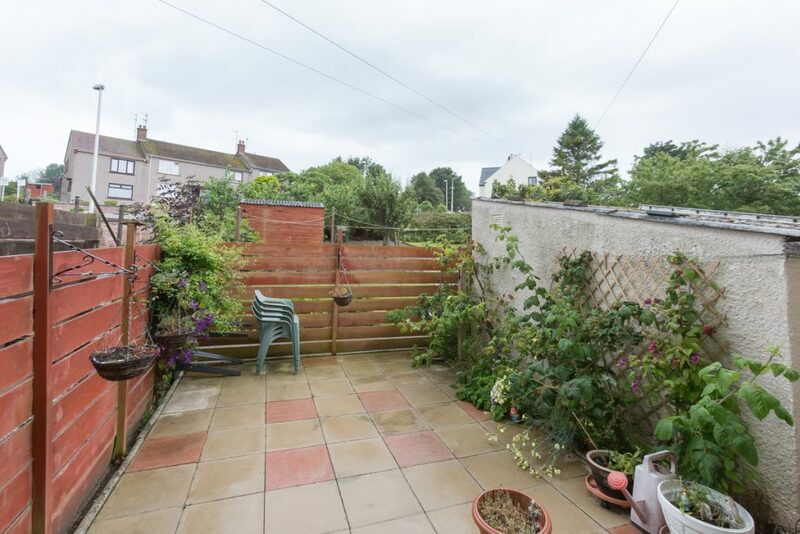 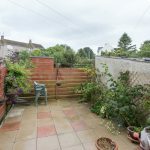 This 2 bedroom terraced villa would make an ideal first time buy or buy to let investment and has the benefit of off street parking, rear garden, gas central hating and double glazing. 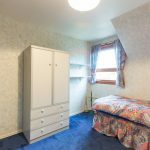 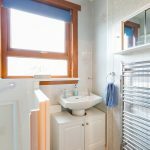 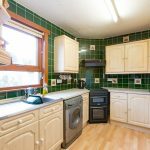 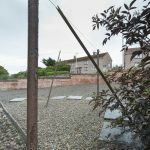 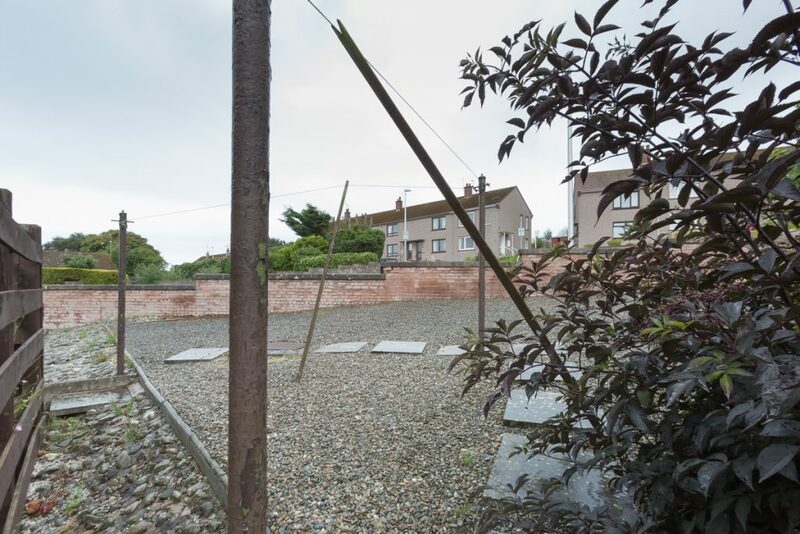 The property is located in the picturesque village of Ferryden which is approximately 1.5 miles from Montrose, a popular and thriving Angus coastal town offering its residents an excellent range of local services and amenities. 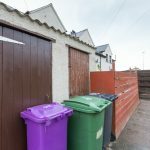 This includes local and national shops, supermarkets, health and leisure centres as well as the main east coast railway line giving east access to many of the surrounding Angus and Aberdeenshire towns including Aberdeen and Dundee as well as Edinburgh and beyond. 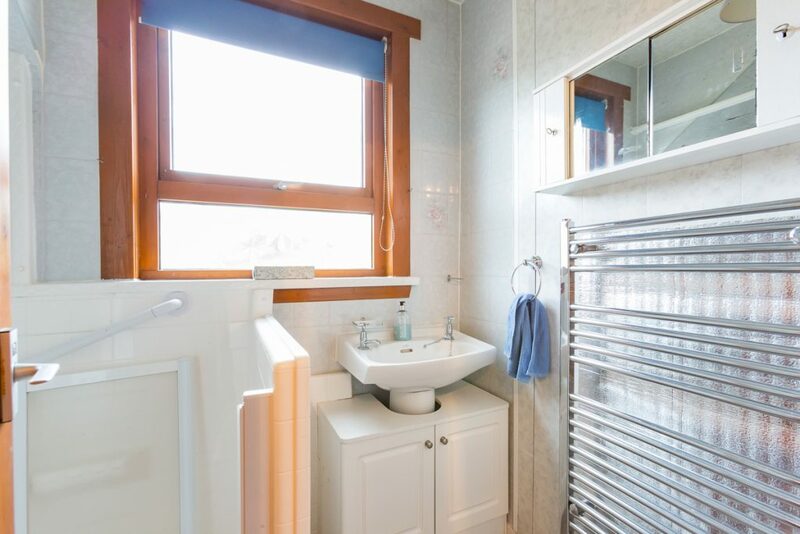 Entry is into the hallway where there is a radiator and a staircase leading to the upper floor. 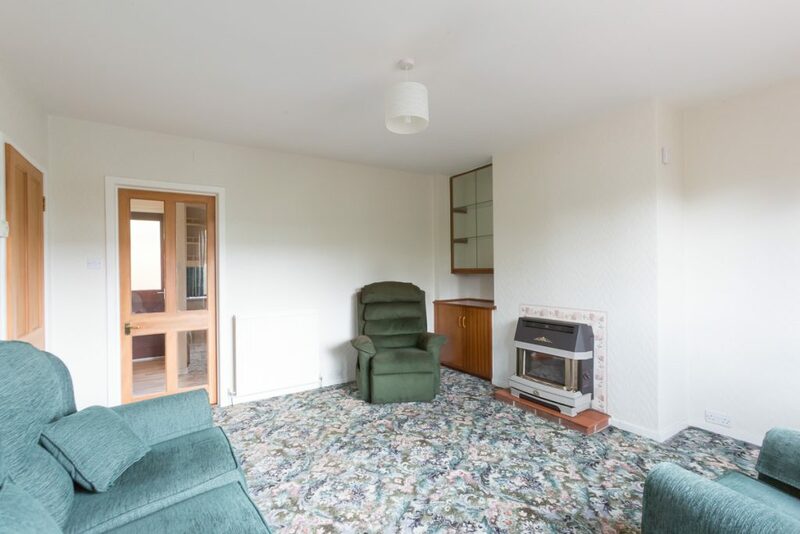 A glass panel door leads into the lounge which has a gas fire set on a tiled hearth and a shelved glass alcove display with under storage. 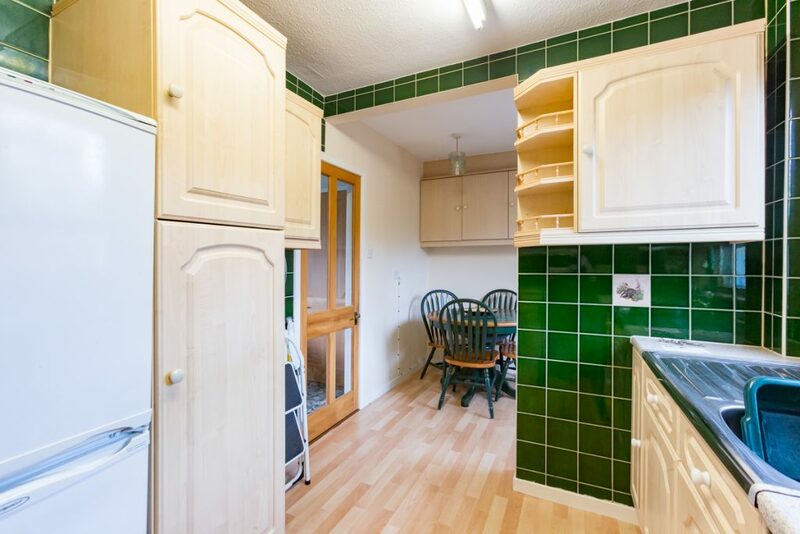 There is also an under stair storage cupboard with light. 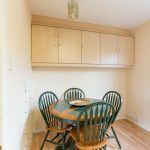 From the lounge a glass panel door leads into the dining kitchen which is fitted to base and wall units and has space for a free standing gas cooker, fridge/freezer, tumble dryer and plumbing for an automatic washing machine. 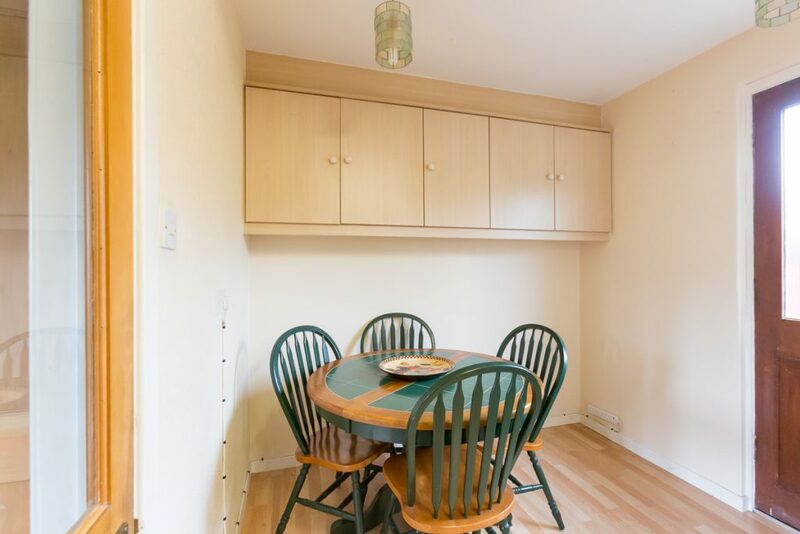 The dining area has overhead storage and a door leading out into the rear garden. 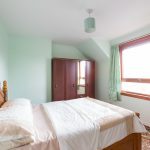 The staircase leads to the upper floor where there is a glass access hatch into the loft and a cupboard housing the water tank. 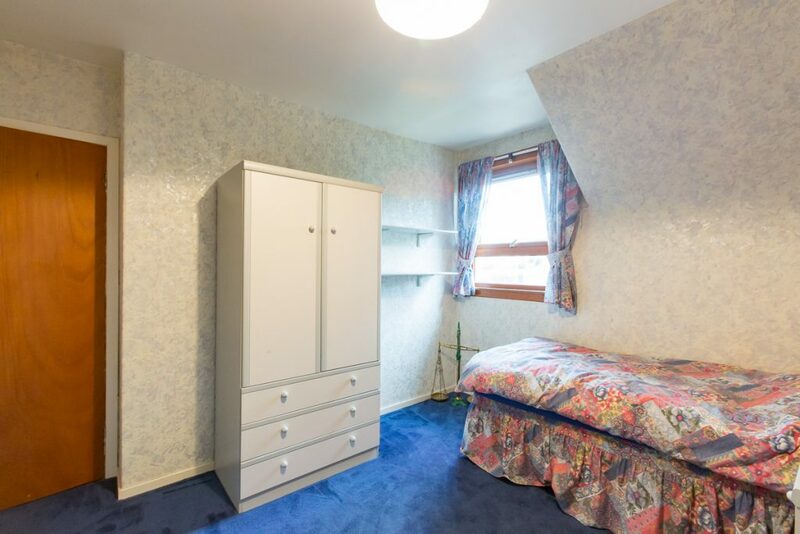 Bedroom 1 is front facing and has a shelved storage cupboard as well as a shelved and hanging wardrobe. 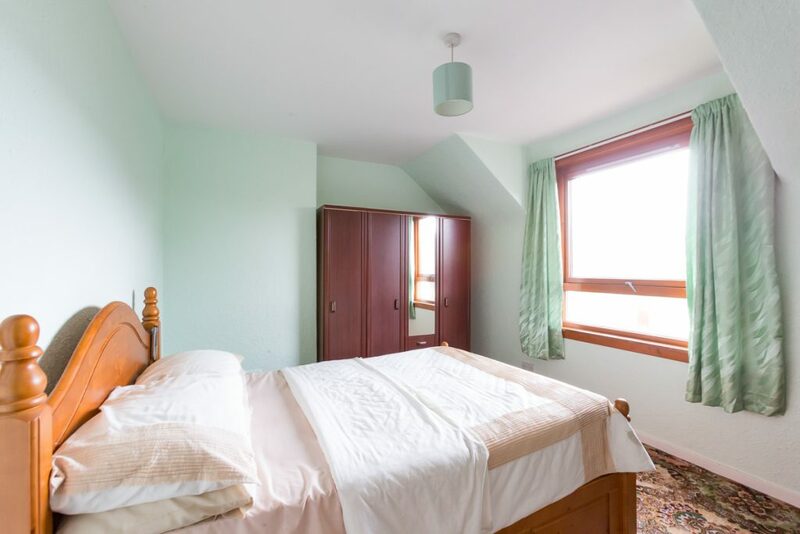 Bedroom 2 has a rear facing window and a radiator. 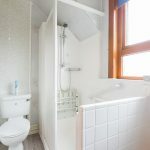 The rear facing shower room has a two piece white suite and a separate shower cubicle with a power shower. 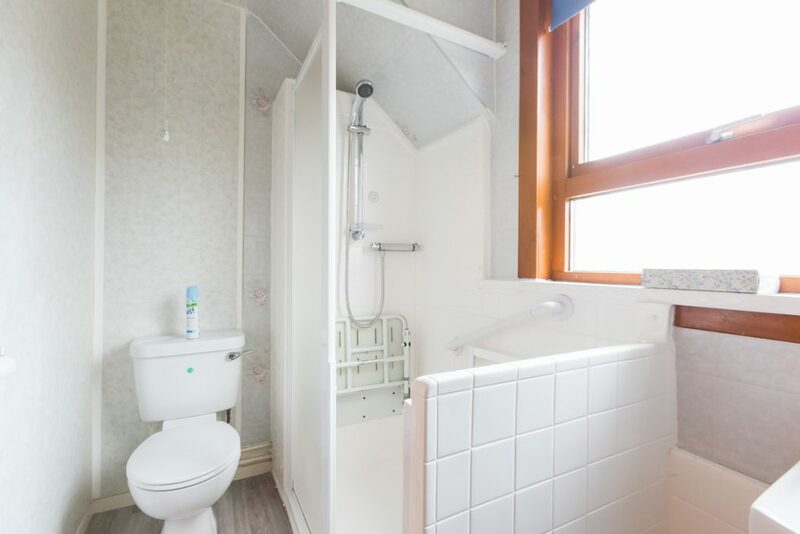 It is complete with wet wall and tiling and has a heated towel rail. 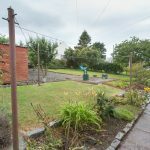 To the front of the property there is a lock block parking area as well as a garden area that is laid to stone chippings. 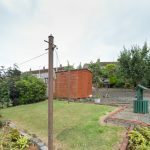 To the rear of the property is an enclosed garden area laid to stone slabs, an outside water tap and a brick built outhouse. 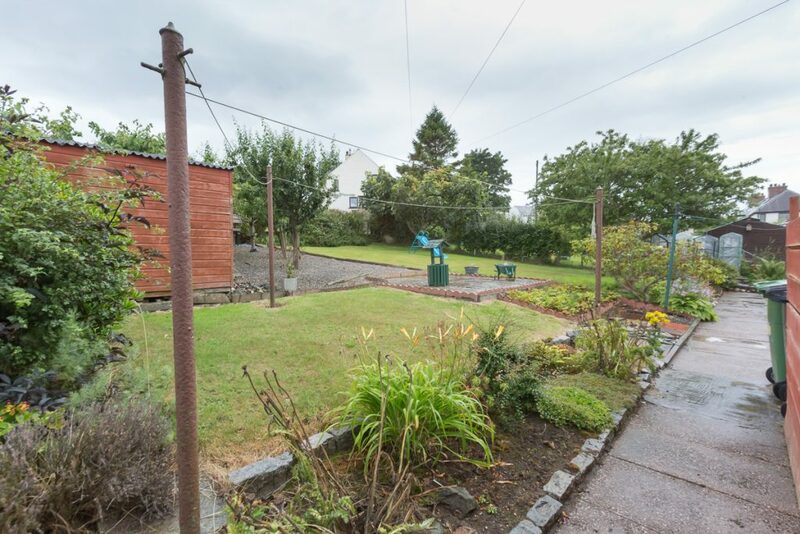 Beyond here the garden continues and there is an area laid to grass which is bordered by established shrubs as well as an area laid to stone chippings with a wooden shed.